The FN1 is a foam forming concentrate proved in many years of practice. Technical foam produced on SIRCONTEC machines using this concentrate has unique properties optimised for foam concrete production. Together with the Mixing Centres MS 1000, MSX 1000, MSIIB and Foam Generators FGX it is a guaranty of stable quality of produced foam concrete. Companies cooperating with SIRCONTEC have been using FN1 since 1995. 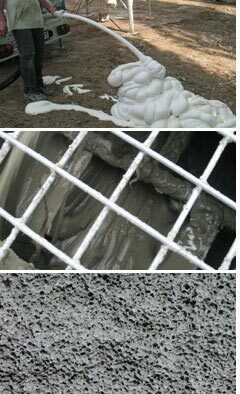 - Achieving of pre-defined foam concrete characteristics in cooperation with the SIRCONTEC machines. SIRCONTEC machines dose FN1 into a production process automatically without the operator’s interference. The FN1 foaming agent is biologically degradable and meets requirements of standards and regulations valid in EU. SIRCONTEC usually delivers FN1 in 25 kg plastic canisters or 200 kg drums. Illustration photos can be seen in the Photo Gallery. Specific technical information on FN1 can be found in the documents below.